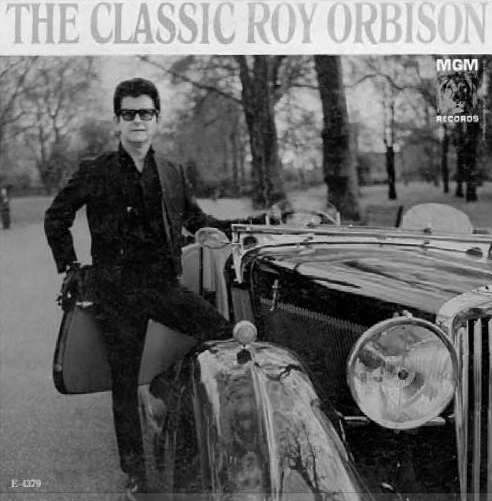 "Roy Orbison's voice entered the room like a floating silk ribbon....That voice. And the hair. Black as melted-down record vinyl." ~ Rachel Kushner's Flamethrowers, page 63. 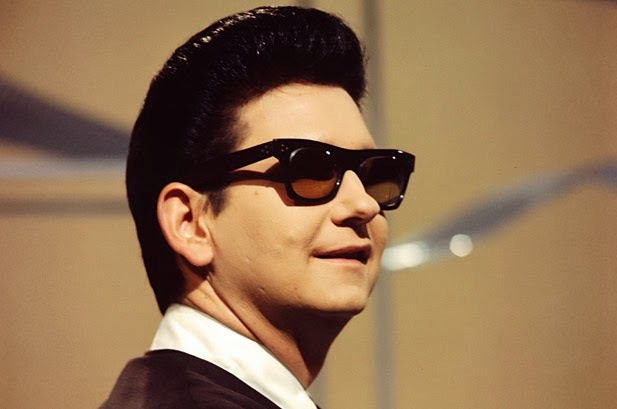 Roy Orbison's signature look consisted of a pompadour hairstyle with dark sunglasses and an ensemble of almost entirely black: boots, pants, belt, jacket, and shirt. Alternately the shirt was white, but regardless, the cumulative effect was the creation of a man of mystery. With eyes lost behind black-rimmed glasses, he became an artifice, an abstraction, with hair black as melted-down vinyl. Perfect.